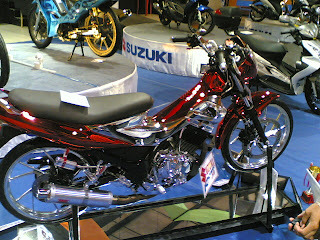 These are pictures of the the motor show that I attended sponsored by Suzuki Motorcycles. 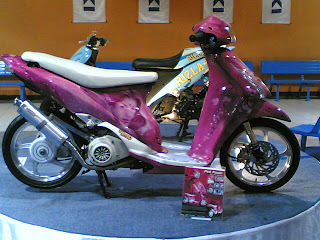 This is my personal choice among the motorcycles around. A converted raider 150 series into a lowered silver. 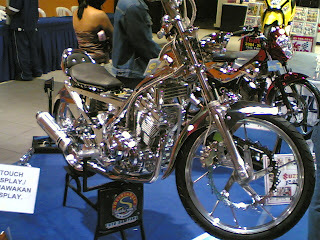 All stock parts were eliminated to create this pure silver line of Raider. You don't see this on the streets, only on shows like this. 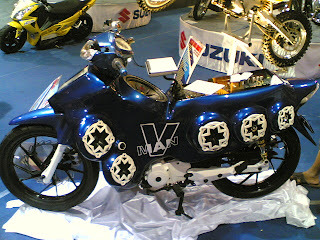 This is a classic vintage monster motorcycle that was one of the participants of the show of Suzuki. 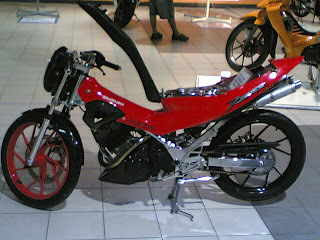 This is a Raider 150 series model with light accessories on it. Making the seat a glow light. 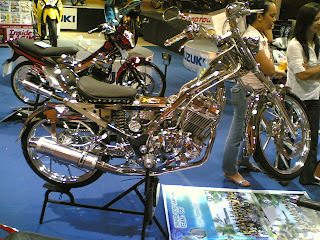 This is not a regular motorcycle anymore, it's a beauty! This one is a sound machine. The speakers around this awesome machine was making the sounds in the show. It will blow your ears out of you when this starts playing. I would call this the beast from the east. 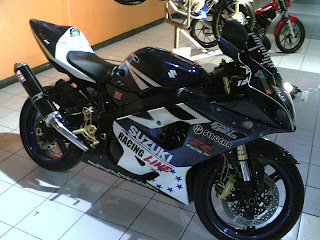 A royal blood racing line Suzuki super bike. Another famous raider 150 series in action. This one was a previews award grabber and has received numerous awards from previous motor shows. This is a real eye catching one. Check out the lady looking at you. Get mesmerize from her look. Picture perfect from the painting to the presentation. Motorcycles are very in and hot right right now. 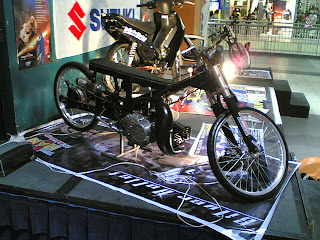 Many are having their own motorcycles. Just a piece of advice, never attempt to ride a motorcycle without a helmet and other protective gears. The most important of them all, don't drive when you are under the influence of any liquor. These machines are fast and they can bring to hell in an instant if you don't take these important advices seriously. See you guys on the road.